Please leave a comment in our Guestbook, please note your comment will only display in the Guestbook once it has been approved. I have never seen such a well laid out site. I thoroughly enjoyed reading every part of it. Just hope I’m lucky enough to get one of th next puppies. Deb. Great site. Loved seeing the beautiful collies. The Nursery section is gorgeous. Thank you Ann, I’m glad you enjoyed seeing my collies. We have some new babies, so over the coming weeks there will be new pics in the Nursery section. Not taken me long to get to look at your new website LOL! As always, I’m in awe of your nursery/play pen: or as I call it…”Willy Wonker & the Pups Toy Factory!” Brilliant. 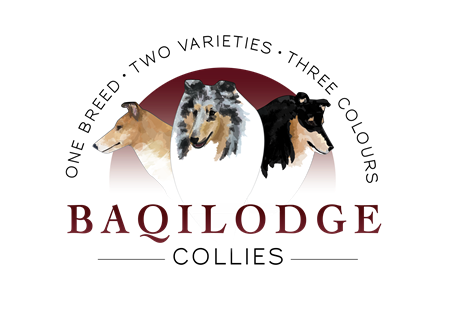 Thanks Leah, I have had some good tutors and lots of help – particularly from Vedamea Collies! I think this is a delightful and very informative website – plus showing beautiful dogs of course. Well done.